Description: Gaillardia aristata, commonly known as the Blanket Flower, is a perennial member of the sunflower family prized for its cheery, daisy-like flowers. The Blanket Flower's similarity to summer flowers such as the Black-eyed Susan can be deduced from its other common name of Brown-eyed Susan. Outstanding Features: Beautiful multicolored flowers. 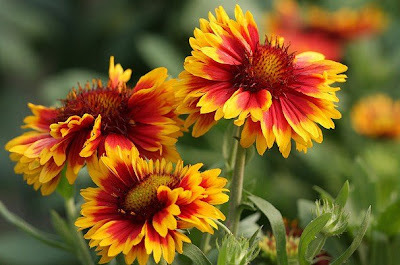 Tips: The Blanket Flower is drought tolerant and can grow under very difficult conditions, even enduring full summer heat with only moderate watering and feeding. 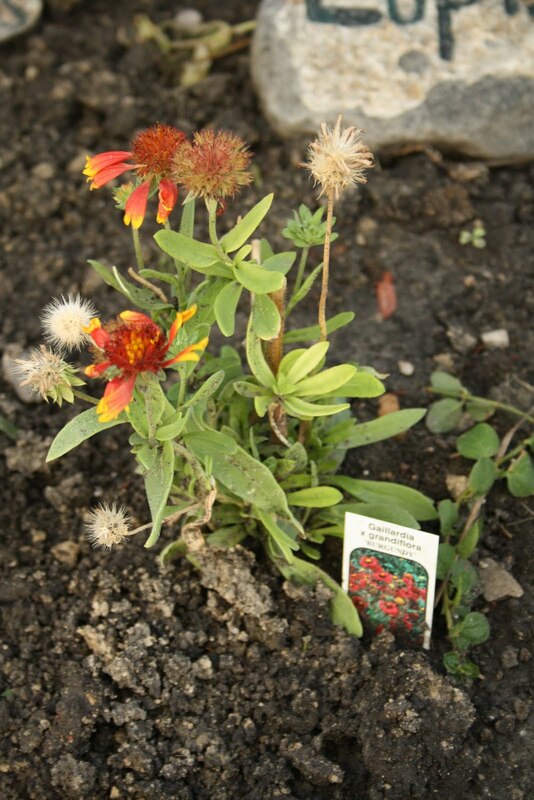 Blanket Flower won't overwinter in clay soils. Light, well-drained, sandy soils are best, and it has even been known to flower on seashores and sand dunes. This is what mine looked like last fall. I planted them late and got them on sale, so they didn't look so happy.